Q and A with Luke Pasick: exchange student and Communicate Science Competition instant winner! Luke, tell us where your home university is? I study at The College of New Jersey which is thirty minutes from Philadelphia and one hour from Manhattan. What are your favourite science subjects? My favourite courses so far are Genetics and Organic Chemistry. Both courses require the need to visualise unique models and concepts in your head, which is not a regular task in other courses. What has been your experience of studying at UNSW? My experience at UNSW so far has been incredible. My home university has about 7,000 students so coming to UNSW is a big change. One thing different about the Biology courses here is the amount of self-direction expected of students. It is rewarding to be given limited direction, to have to motivate oneself to self-learn and search for answers. Tell us what you think of Australia? As an exchange student, I have been taking every opportunity to see and explore as much as possible. I have road tripped up and down the coast and have tried new hobbies such as surfing and climbing. As much as I don’t want my time here to end, I know that I will be returning home with a unique experience only available in Australia. 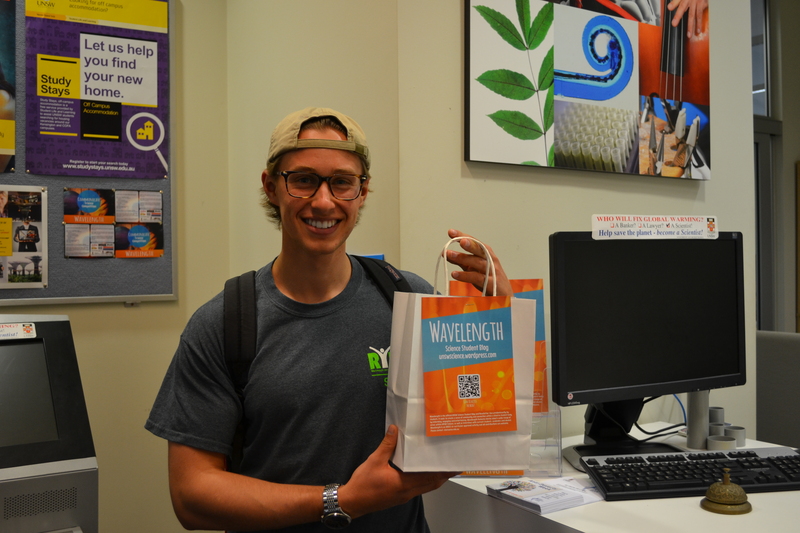 Luke will be blogging on his experiences in the Galápagos Islands after the mid-semester break – so watch this space! Interested in having your own overseas Exchange experience?